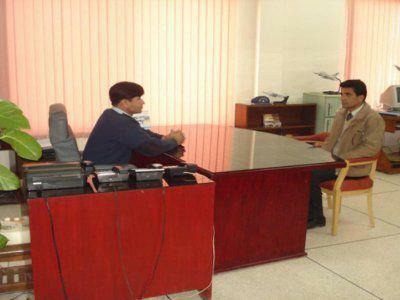 Final Interview is taken by the Voice President. Interview includes questions about family background, education, intelligence, mathematics general knowledge and quick response. Final selection of the candidate is made by the president base on the reports of Psychologist, G.T.O and the Voice president He is the head of the particular I.S.S.B where candidate is called for tests & interviews.